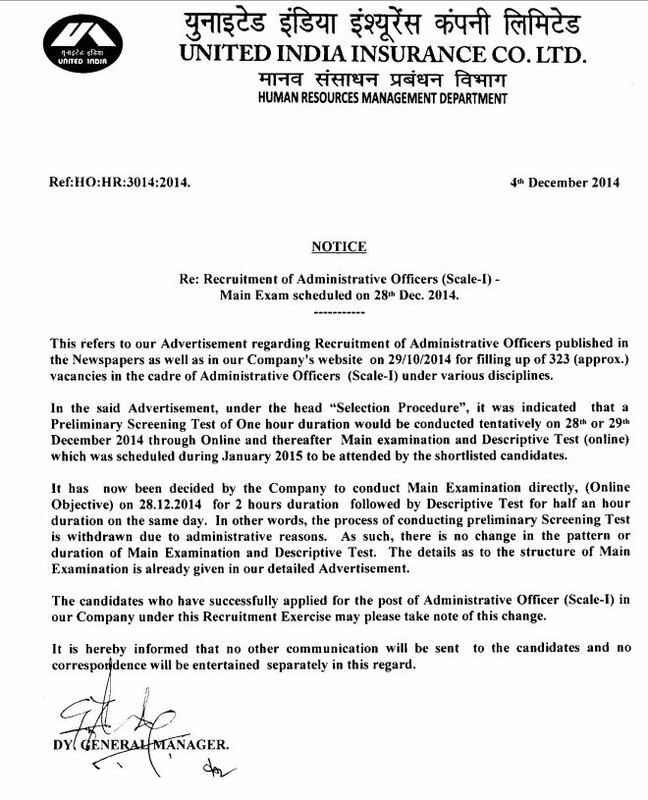 United India Insurance has declared exam scheduled of Administrative Officer (Scale-1) – 2014. United India Insurance AO Exam will be held on 28-12-2014. It has now been decided by the Company to conduct Main Examination directly, (On-line Objective) on 28 December 2014 for 2 hours duration followed by Descriptive Test for half an hour duration on the sam day. The candidates who have successfully applied for the post of Administrative Officer (Scale-1) in our Company under this Recruitment Exercise may please take note of this change.